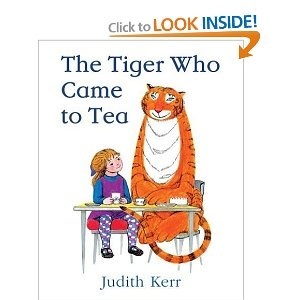 The Tiger Who Came to Tea by Judith Kerr: When I think of books with tea in them this is the first one to jump to mind, it is the ultimate classic “tea time story”. If you see this book in a store get it. 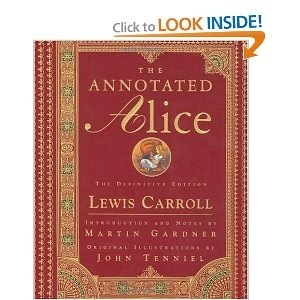 It is just lovely and it will get totally worn out with rereading, which to me always indicates a really good book!!!. Little Sofie is just settling down to tea with her mum, when an unexpected guest arrives – you guessed it!!! A very hungry and delightful tiger!!! 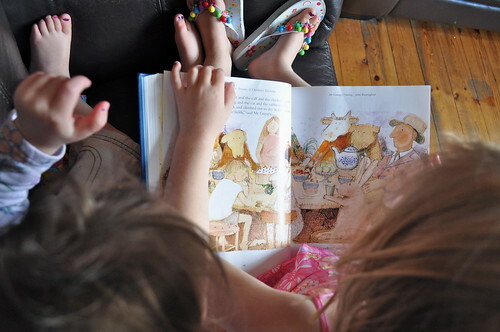 You can meet Judith Kerr here and you can take a peek inside the book right here. 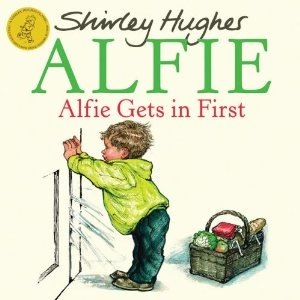 Alfie Gets in First by Shirley Hughes: Shirley Hughes is THE most delightful story teller and illustrator and somewhere in all her stories they settle down for a cup of tea… always!!! And that always inspires us to settle down to a cup of tea too!!! 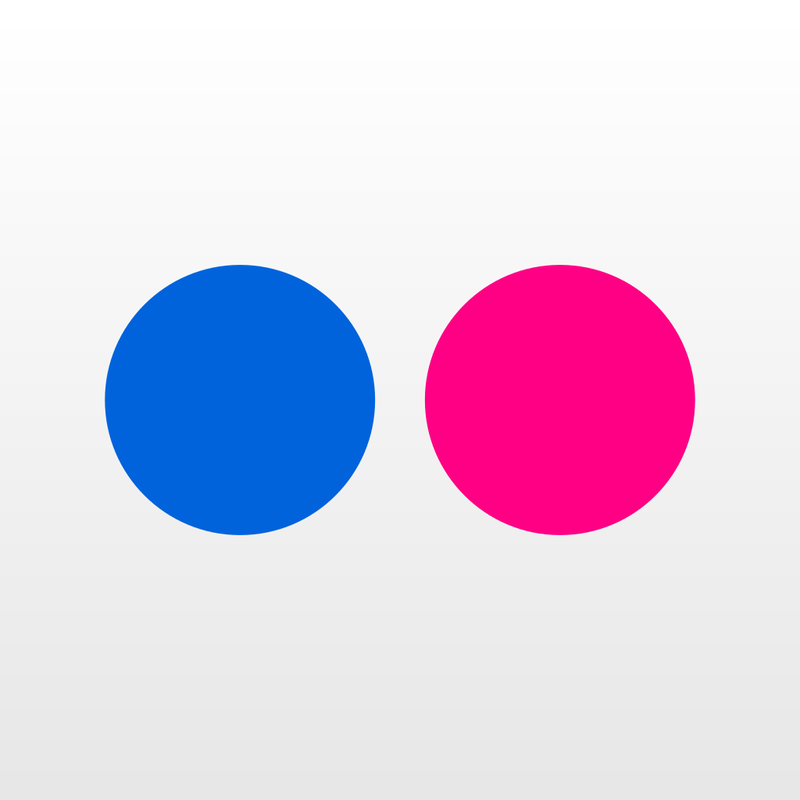 You can meet Alfie at his very own website here. 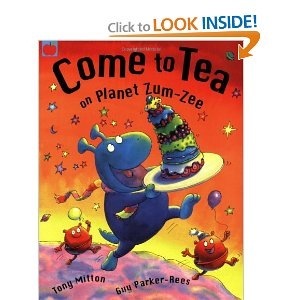 Come to Tea on Planet Zum-Zee If you are looking for some rollicking fun then look no further, seriously this book is a party of rhythm and fun all on it’s own!!! If you want to see some more wonderfully wacky verse books by Tony Mitton then follow the link. 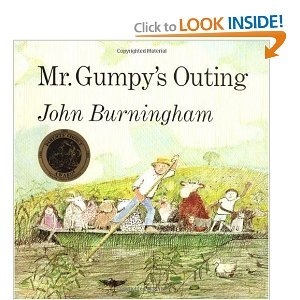 Mr. Gumpy’s Outing by John Burmingham: If you haven’t met Mr Gumpy then the time has come!!! His little friends push him to the limit and eventually they land in the river… Being Mr. Gumpy, not Mr. Grumpy, he takes everybody home to tea. Now there is a place to visit, really relevant to our blog, Sevenstories in the UK and they are celebrating 50 years of John Burmingham’s work right now. 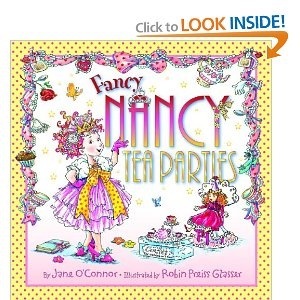 Fancy Nancy: Tea Parties by Jane O’Conner Can I just say there are people in my house that live and die for Fancy Nancy… I can’t think why!!! In all her glory, her finery and glamor outshine anyone I know!!! This book is packed with tea party ideas, what to do, what to wear, what to eat,… EVERYTHING!!! And in case you have haven’t met her before then take a look at Fancy Nancy’s Website, where and there are some more printables at Printables4kids. May I Bring a Friend? by Beatrice de Regniers. Now this is a funny one, that my guys like to chortle they way through. The King and Queen invite a young man to tea. 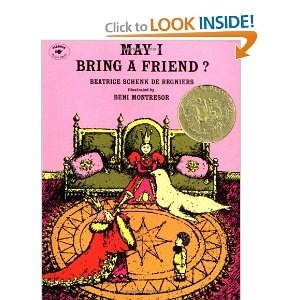 He asks if they may bring a friend and the ever polite royalty say: “But of course.” And this young man brings a series of more and more bizarre beasts as the story goes on. Just good fun!!! The Alice in Wonderland: I know it isn’t a picture book, but let’s face it the mad-hatter has inspired more tea=parties on this earth than almost any other!!! 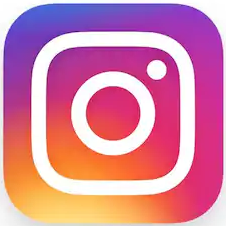 So if you can think of any more tea-time stories then feel free to add them!!! I would love a great picture book recommendation for the Boston Tea Party!!! Comment away!!! And if you would like to help us fill up our CANSA tea pot then follow the link. 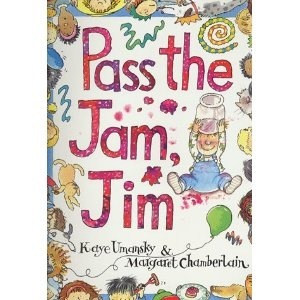 I must get hold of a copy of Pass the Jam Jim – I’ve read a lot about it but not actually ever read the book itself. Judith Kerr is going to be on BBC radio later this week talking about the role of food in her family home – I’ll tweet the link when it becomes available. Hay Zoe… She’s also written – “Need a Trim Jim” – we know both of them off by heart!!! THe kind of stories I can “read” in the dark if bedtime gets late!!! Hope you have a fab week!! !